Healthy marriages do not happen by accident. They require work and dedication, but with the busyness of life and the pressures of culture it’s easy to lose focus. 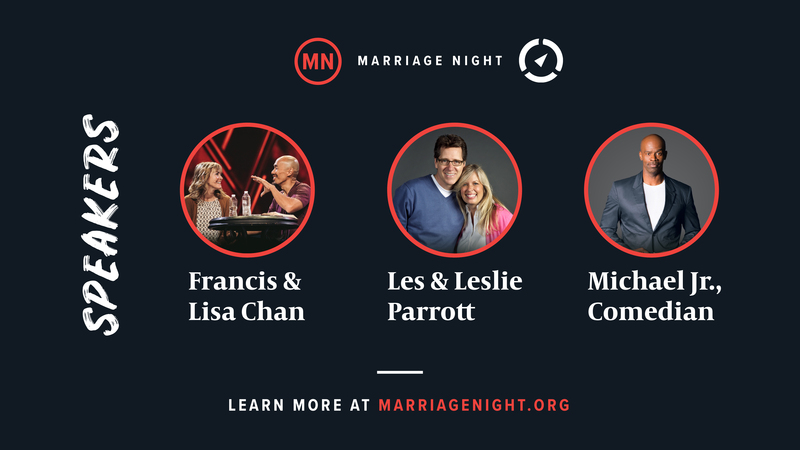 Marriage Night is an opportunity to learn principles for a lasting relationship and to see the greater purpose of marriage, namely, to glorify God and advance his gospel. Take a night away from the kids, your job, the house, and spend an evening investing in something far more important than any of those things: your marriage. Dinner is included in the ticket price. **Due to the late hours of this event, we will not be offering KidCare. If this presents a financial challenge for you, please let us know, as we have limited scholarship funds available to cover your childcare expenses. Check out this clip from comedian Michael Jr.